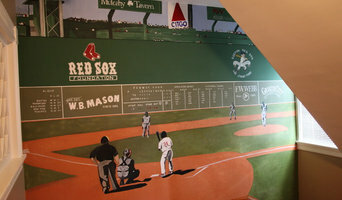 Melissa's Murals is improving homes and small business since 2001. Will paint ceiling to floor with many painting styles and mediums. Oversee your projects from inception to completion, consistently on time and on budget. No project is to small. Drawing from experience in cabinetry, timberframing, fine furniture, and rough carpentry, as well as sculpture, metalwork and painting, I like to infuse my work with a sense of fun and excitement, something to spark your interest and keep you engaged with the piece or project, from start to completion, and long after the installation is complete, and the project's real life has begun. My work consists of color studies of abstract landscapes. 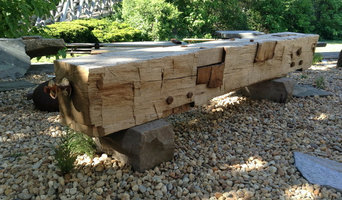 We design artisan benches and tables built from reclaimed stone, wood and iron. Plus, we search for unusual pieces of stone to enhance indoor and outdoor spaces. JT Harding Studios provides original fine art and commissioned painting services to art collectors, interior designers, art consultants, and architects. He is well-known for his mastery of color, light and atmosphere. Well versed in landscape/seascapes, still lives, and portraiture, alike, Harding can provide you with a variety of paintings to suit your space planning needs. Take a look at the portfolio of works, visit his website, and then call him for your next project! Funky Rock Designs are made from all natural stones found along the beaches and rivers of New England . Each product is unique, as no two stones are alike. Our creations are art that is fun and funk-tional. Hours are spent combing the shores for the perfect rock, the shapes and textures are made by the pounding surf. 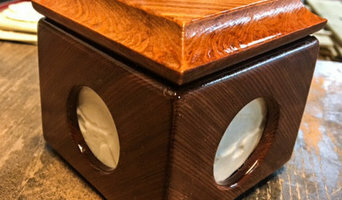 They are then brought back to our studio in Eliot Maine where they are carefully drilled to fit one of our unique products. The idea behind Funky Rocks is to bring a little bit of nature indoors in a unique form of Funk-tional art. 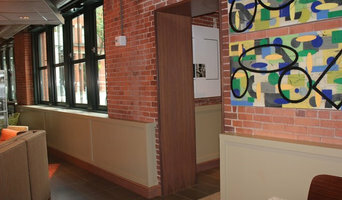 This is our 20th year in the architectural millwork field. It's not about reinventing the candle, its about perfecting it... Have you ever bought one of those 'Bargain' candles? You know the ones, they smell a little bit for an hour and then nothing? You burn the whole candle for weeks on end just to use it up and feel like you didn't waste money on it? Stop the insanity and try a Chubby's Candle. 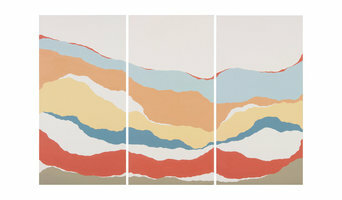 Cynthia White is a Boston based artist creating abstract fluid paintings with an emphasis on color and movement. Cynthia currently as a solo show of 50 paintings going on in Boston's South End. Her paintings are available for purchase and commissions.